ADHD is one of the most common behavioral and learning problems in childhood. It can affect the school experience, families, and friendships. It’s often associated with other problems as well, including learning disabilities and mood problems. Wouldn’t it be great if there were nutritional ways to help? The relationship between what kids eat and their behavior is complex, and something we are learning a lot about in the 21st century. One emerging link is that between ADHD and other neurodevelopmental disorders with deficiencies in omega 3 fats. Researchers in Australia, aware that EPA, DHA and other beneficial fats affect the brain, and aware that many kids get too little in their typical diets, decided to see what would happen to kids with ADHD if they got supplements of healthy fats. The results are published in the lead article of the April 2007 Journal of Developmental and Behavioral Pediatrics. 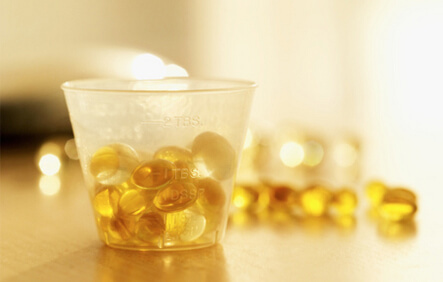 To measure the possible benefit, some kids got capsules containing EPA, DHA and other beneficial fats, while their counterparts got placebo pills containing palm oil. Their behavior was followed for 15 weeks, using the Connors Rating Scales. Those who got the supplements showed improvement in the core ADHD symptoms of inattention, hyperactivity, and impulsivity compared to their matched peers. After the 15 weeks were up, those in the placebo group were switched to the real supplements, and they then showed similar improvement. Those who received the real supplements from the beginning continued to show sustained improvement after the full 30 weeks. This preliminary study suggests that some children with ADHD might experience reduced symptoms if they get the healthy fats they need.